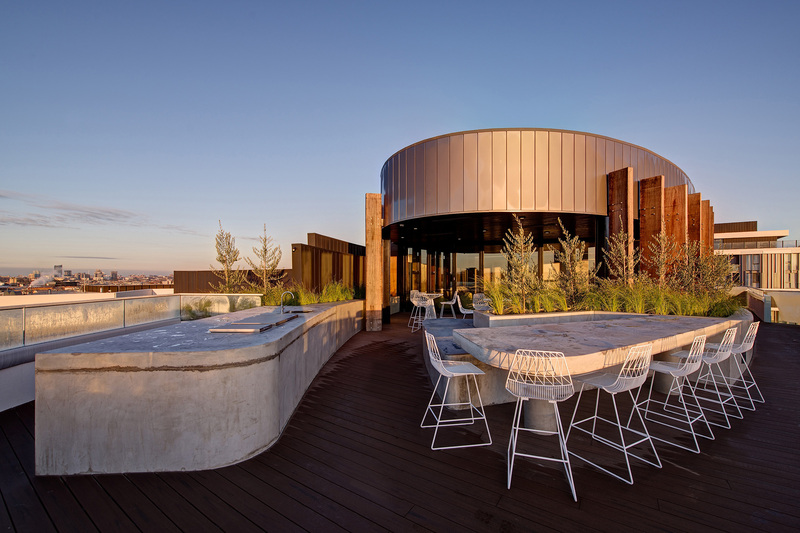 Drawing on the very different nature of the site boundaries, the notion of a transition across the site was explored; from the grey urban environment to the green river’s edge. 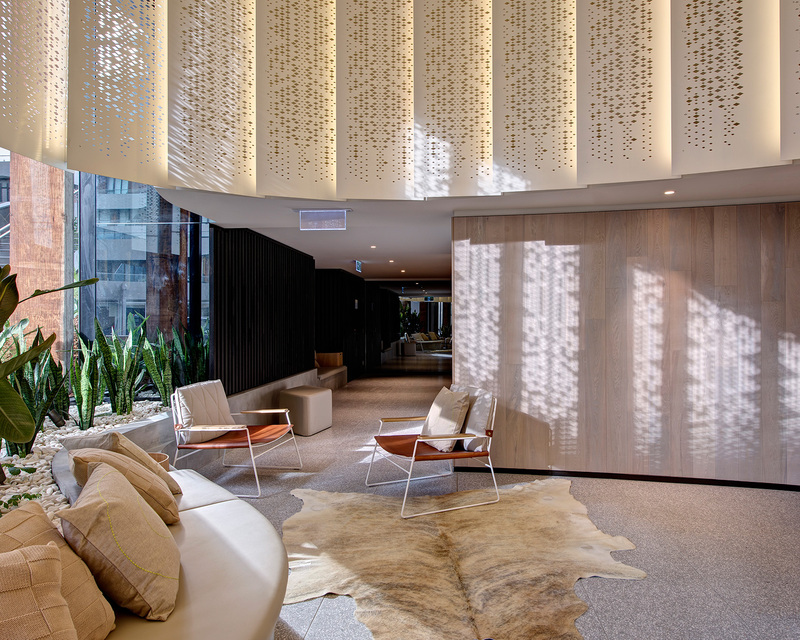 Our design seeks to magnify this experience and develops the idea that the architecture and landscape can function as an emulsifier between the fast, frenetic nature of Victoria Street and the calm, tranquil environment of the Yarra River. Building on Abbotsford’s ongoing gentrification and responding to the city’s changing social, economic and environmental concerns, this is a vibrant, community-focussed development. 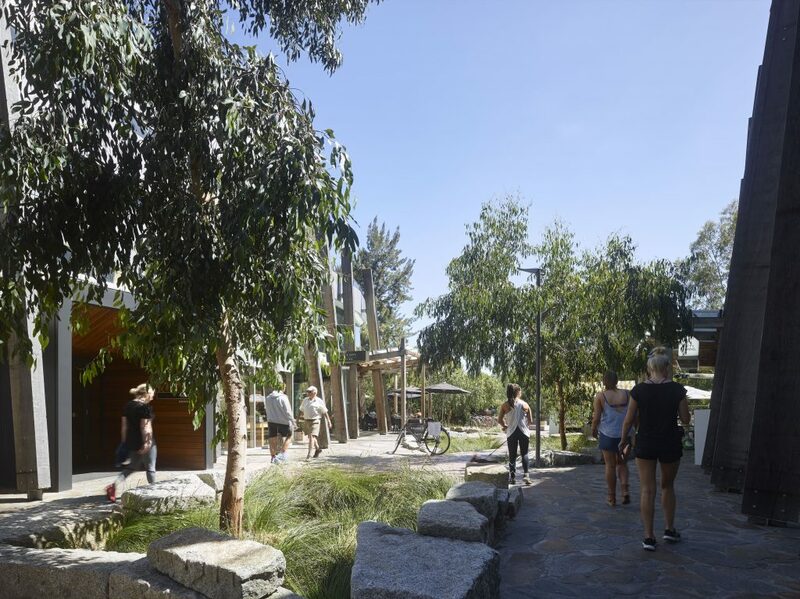 The project invites engagement with the public through its new generous Yarra River pedestrian connection, integrated art strategy, sense of place and opportunities to work, dine and relax. 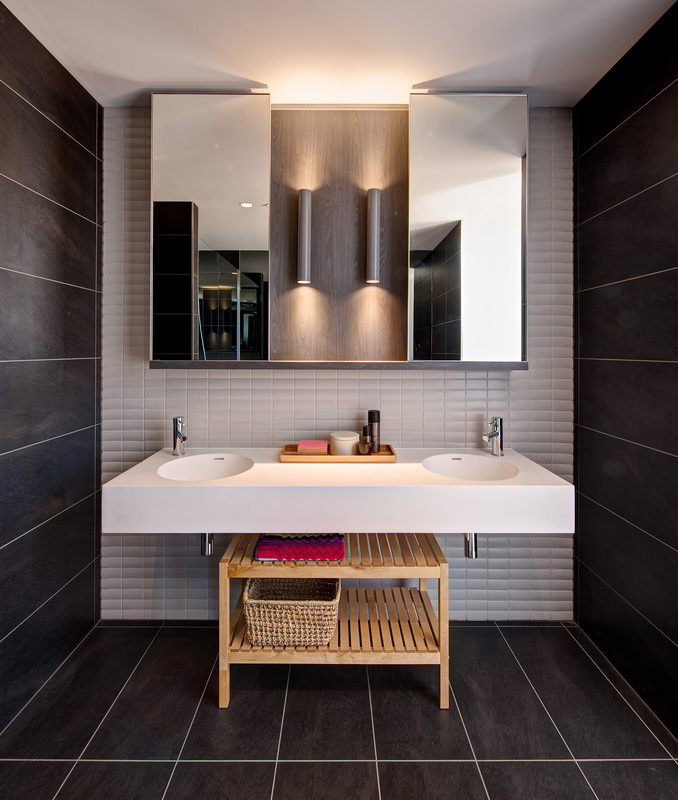 Importantly, the project offers quality and diverse living spaces at an affordable price point. 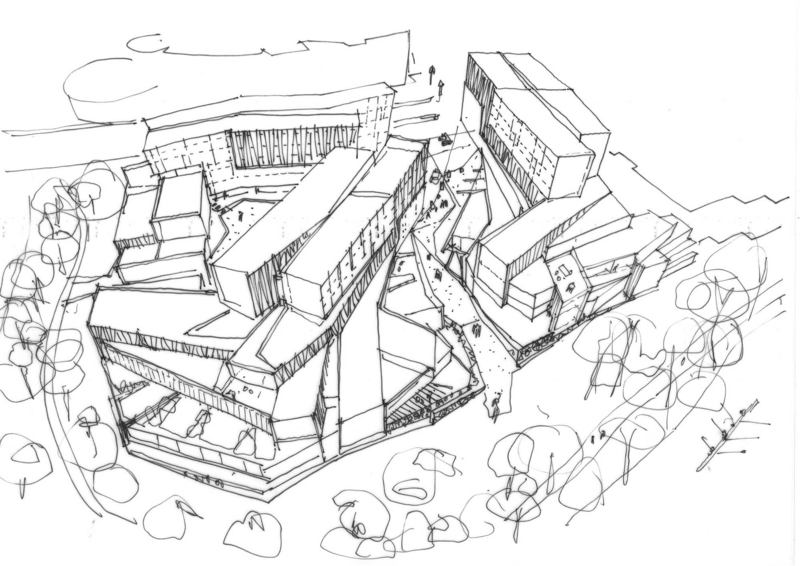 Our design response was inspired by the site and surrounding locality. 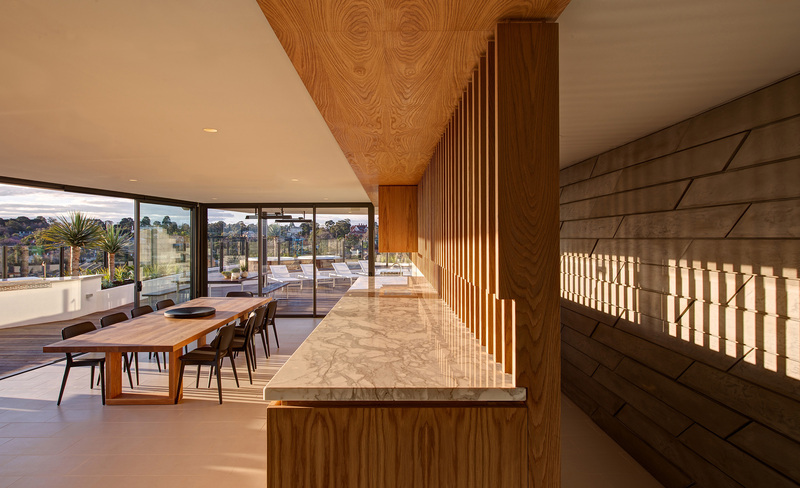 Highly contextual, the design establishes a strong, physical relationship with the adjacent land and mediates between the different characters of the immediate environs. 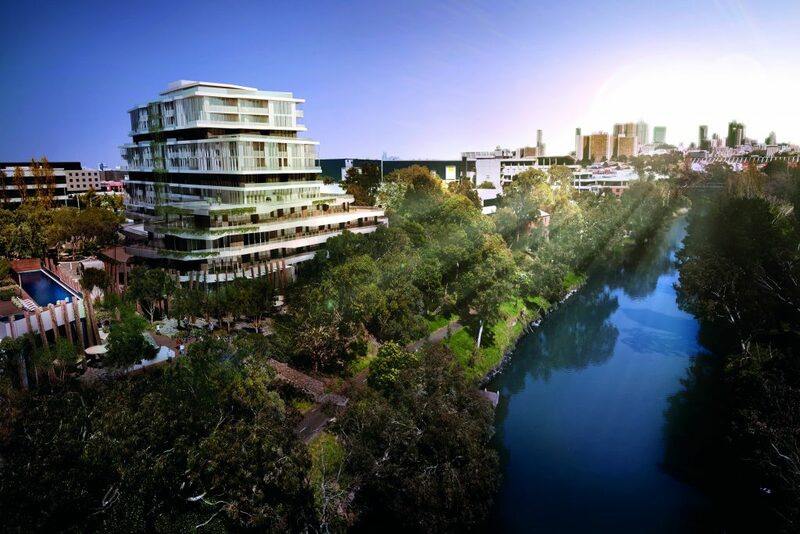 The design seeks to actively reinforce the Yarra River corridor rather than impose upon the landscape. 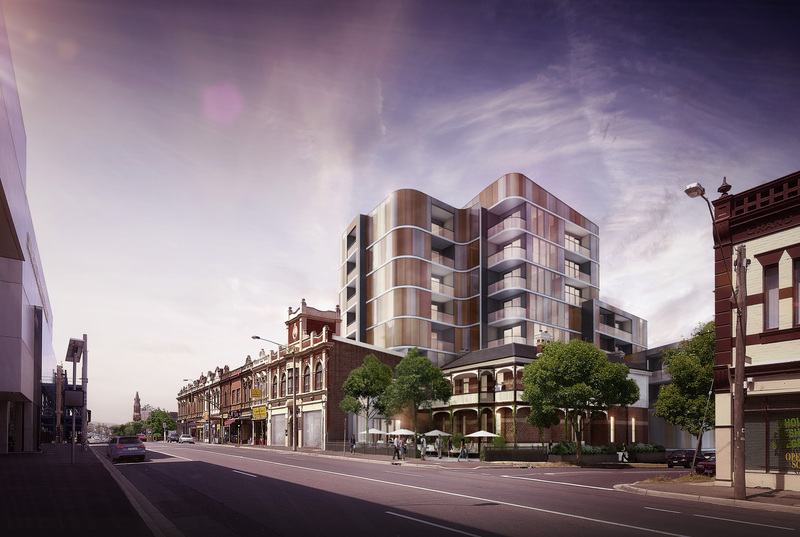 The proposed development is conceived as a landmark gateway to the Victoria Street East Precinct. 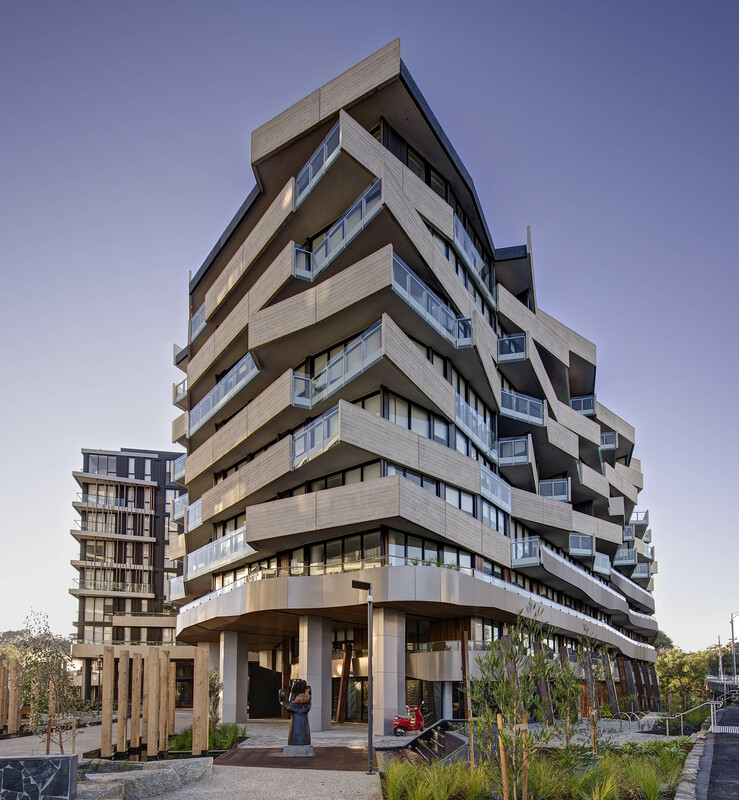 Incorporating numerous environmentally sensitive design and community integration features, this project will raise the standard for excellence in large scale inner city urban housing developments. 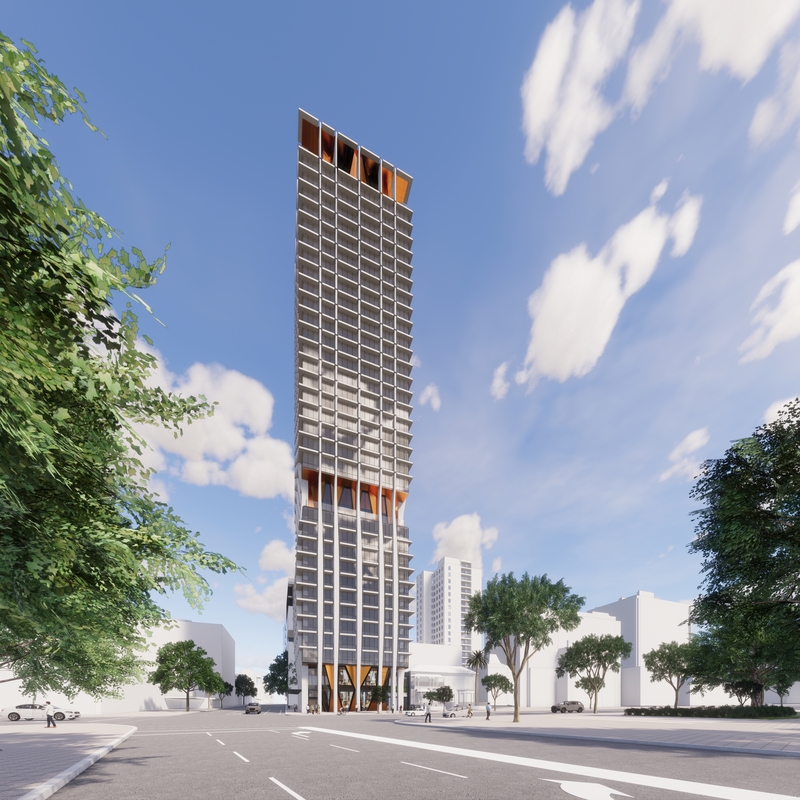 The overall effect is a very carefully considered and sensitive response to the built form immediately adjacent to the river corridor. 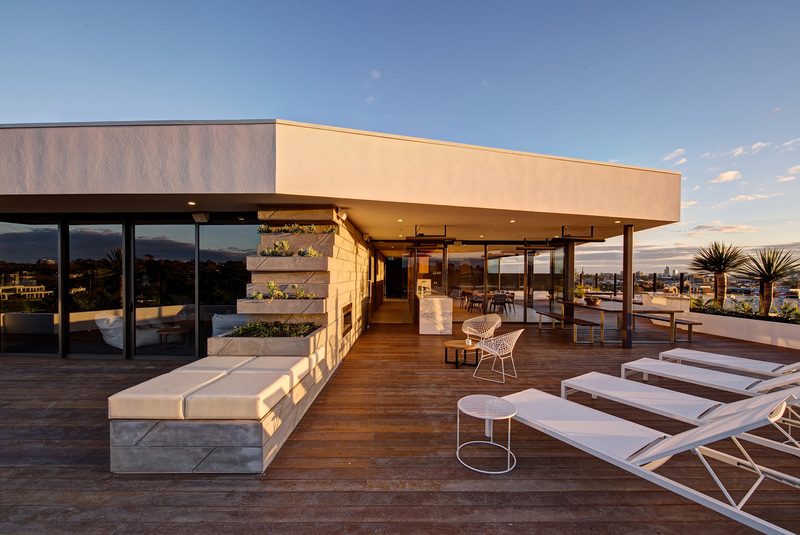 Organic and fluid in nature, the embankment form is expressed by continuous terrace balustrades. In effect, the terraces become a continuation of the existing contours below the current crest line. Two significant breaks exist in the terrace ribbons signifying the principle points of access through, or into, the site. These breaks also ensure that the presentation to the river is subtle and graded. In each case, the terrace ribbons return back into the site as if the form has been eroded by a tributary of the river. The colour palate of subdued greys and timbers has been chosen to coexist with the existing vegetation. 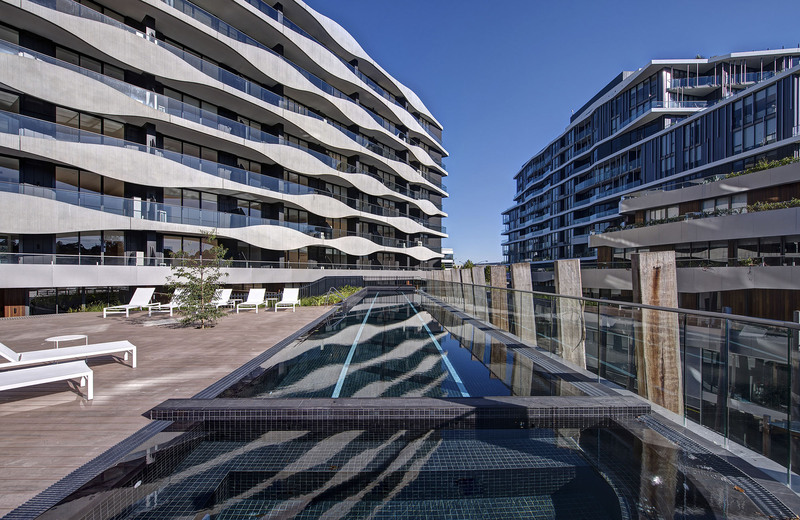 Apartment glazing is recessed under deep terraces adding depth to the expression and providing shade from the east and north sun. 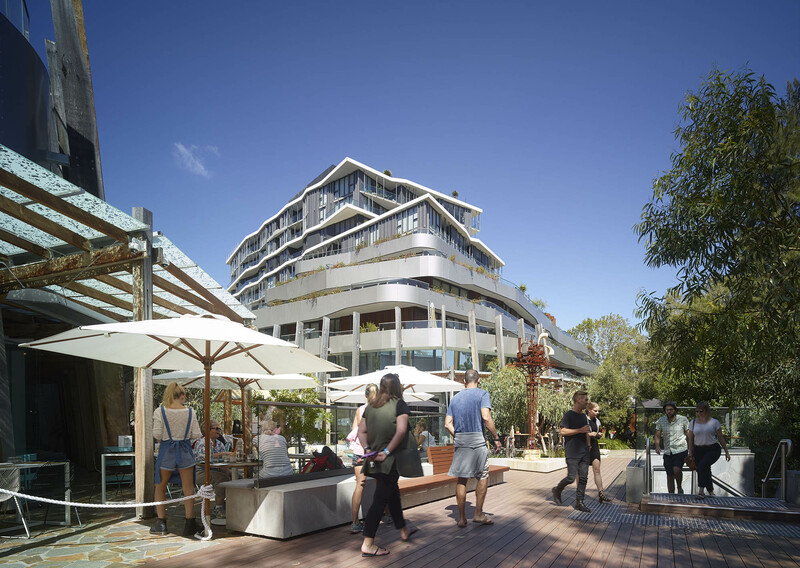 Abbotsford develops the idea that the architecture and landscape can function as an emulsifier between the fast, frenetic nature of Victoria Street and the calm, tranquil environment of the Yarra River. 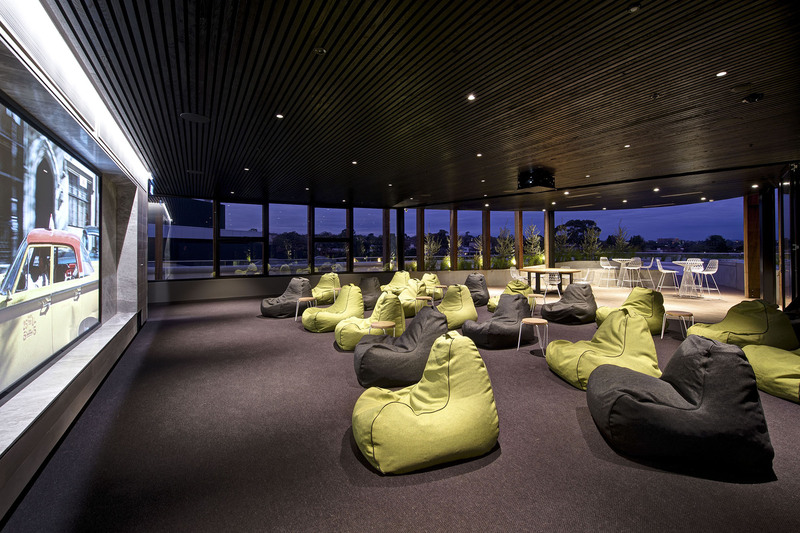 Acacia Place places a greater emphasis on shared and activated communal spaces and invites the public in. 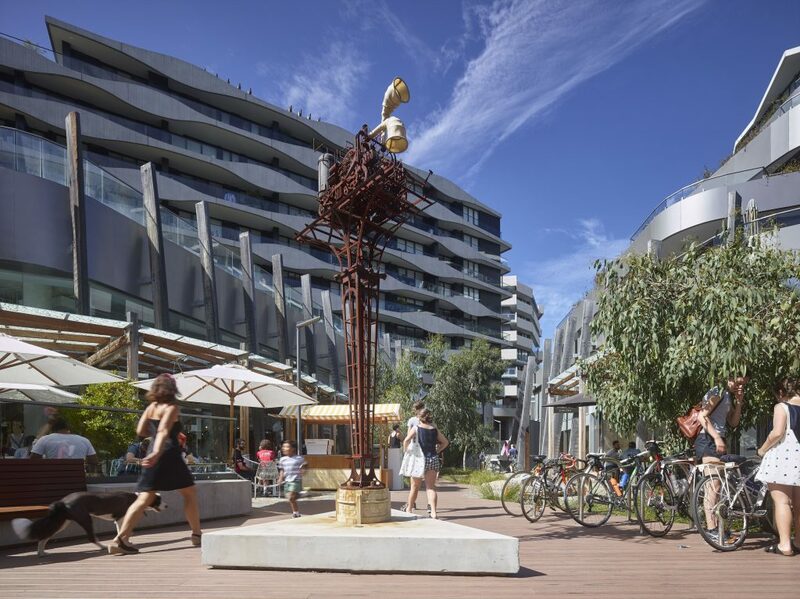 The design and planning of Acacia Place included a concerted effort to bring the Yarra riparian landscape character into the development as well as reinforce pedestrian primacy over cars with shared zones and pedestrian only spaces. 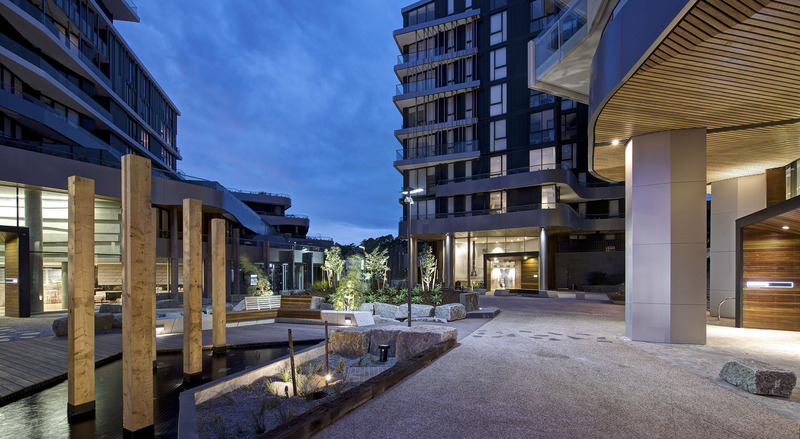 The external spaces at Acacia Place were designed to encourage social interaction providing residents with easy opportunity to meet their neighbours. 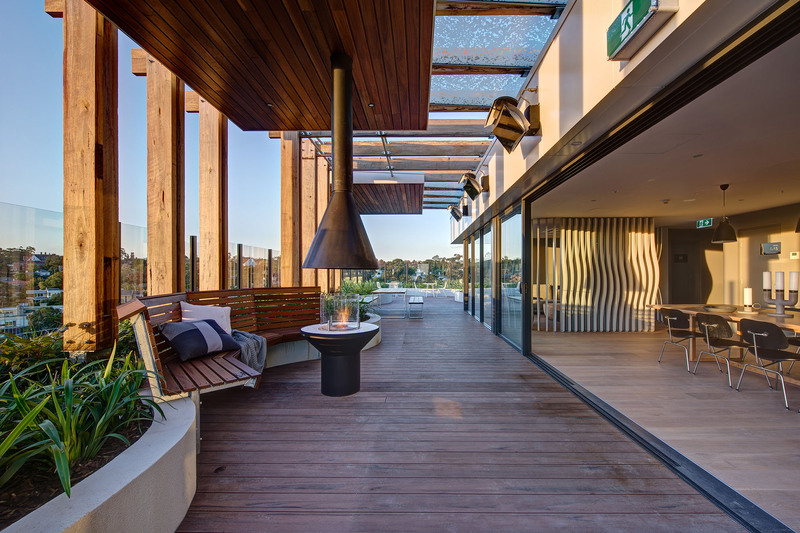 A series of communal roof top gardens include barbecues, dining facilities and spaces for lounging and enjoying the view. 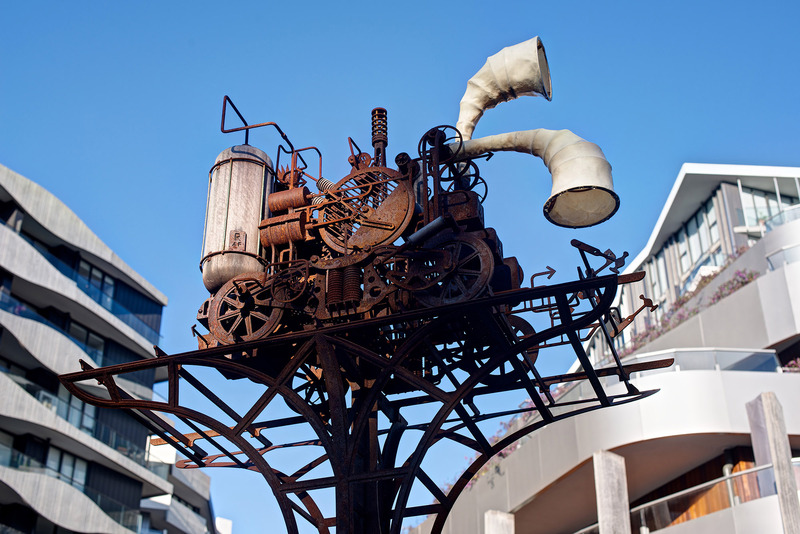 Art created by emerging local artists was integrated into the urban design of Acacia Place. Three major pieces installed were, Daniel Agdag’s “The Inspector”, Priscilla Bracks “the Light Wall”, and Mike Nicholl’s “Bird in the Hand”. 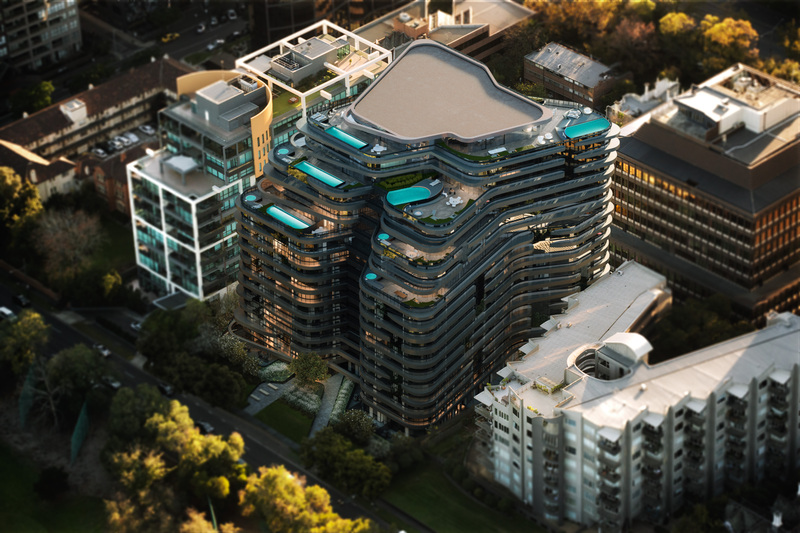 Located on a secluded bend of Melbourne’s iconic Yarra River, the first stage of this landmark residential, retail and commercial project comprises more than 200 apartments designed to reflect the surrounding contours of the river. 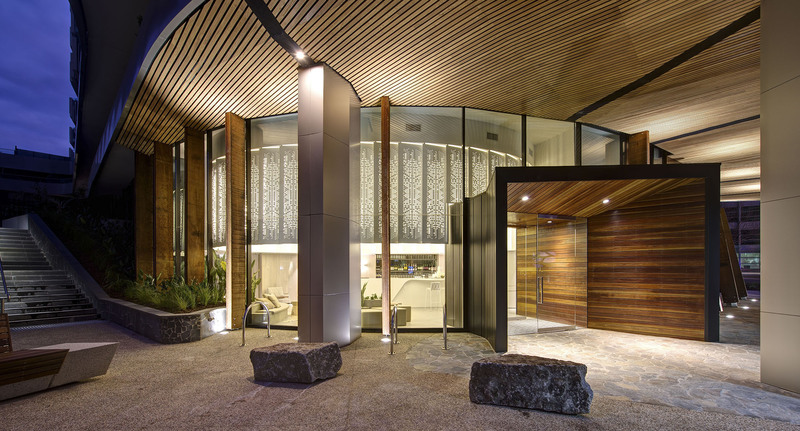 The architecture took its inspiration from native rock formations and geology. 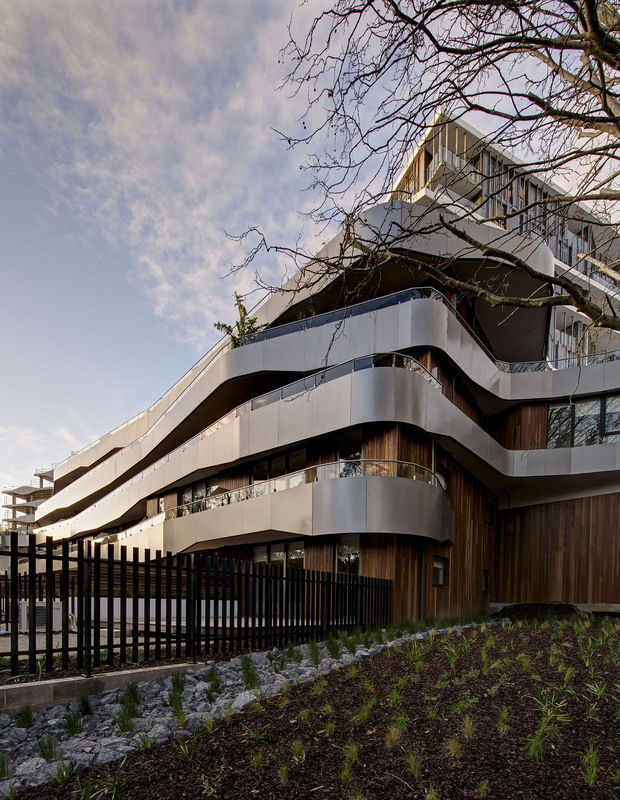 Draped, landscaped planter balconies on podium levels and vertical gardens on higher levels allow greenery to climb up the facade, replicating the local landscape and softening the building. 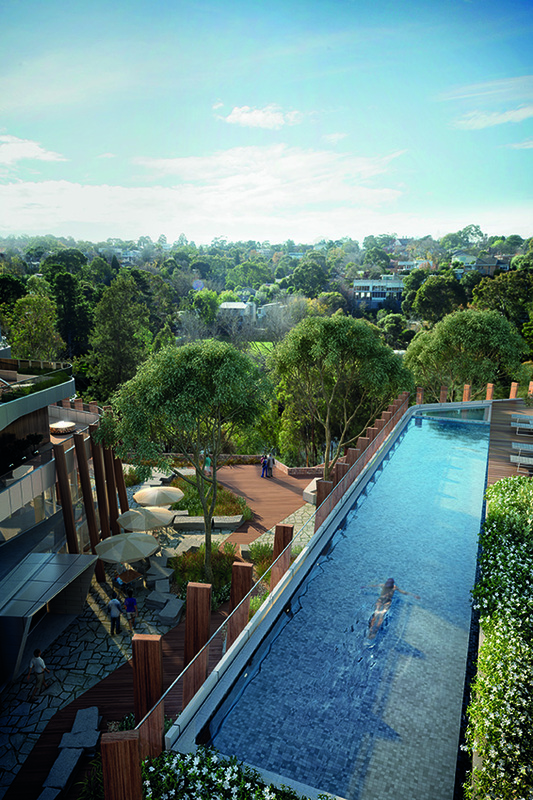 Eden includes a rooftop retreat, lobby bar and health and fitness centre set among native landscaped gardens. 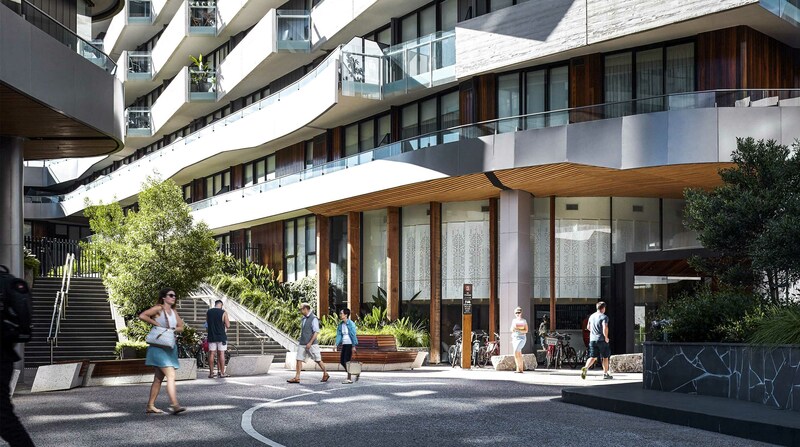 Apartments offer spacious open plan living and dining areas flowing onto continuous glass fronted balconies of up to 236m² overlooking the river, the city and tree canopies. 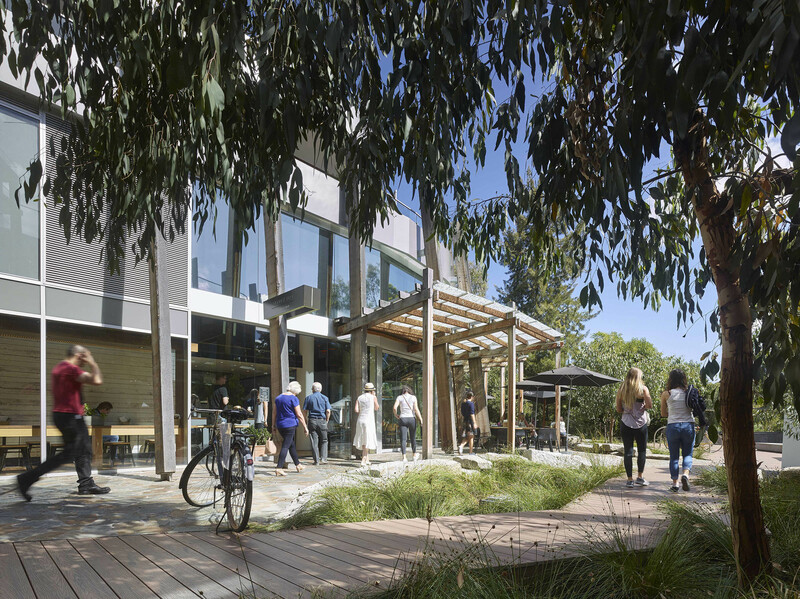 A landscaped public pedestrian laneway links Eden from Victoria Street directly to the Yarra River. 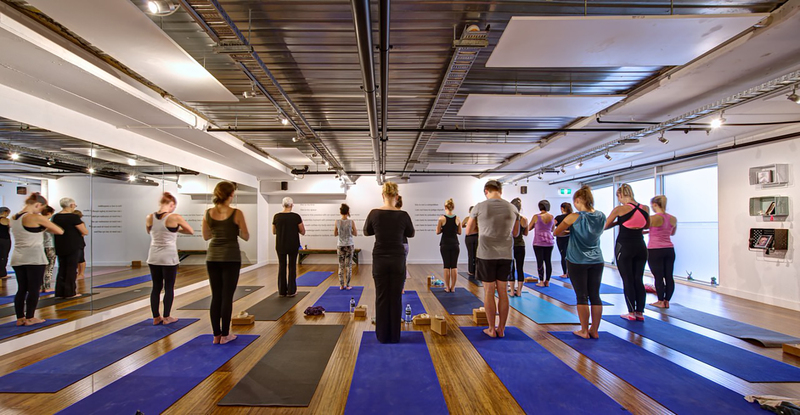 Eden achieves an average 6 star energy rating throughout. 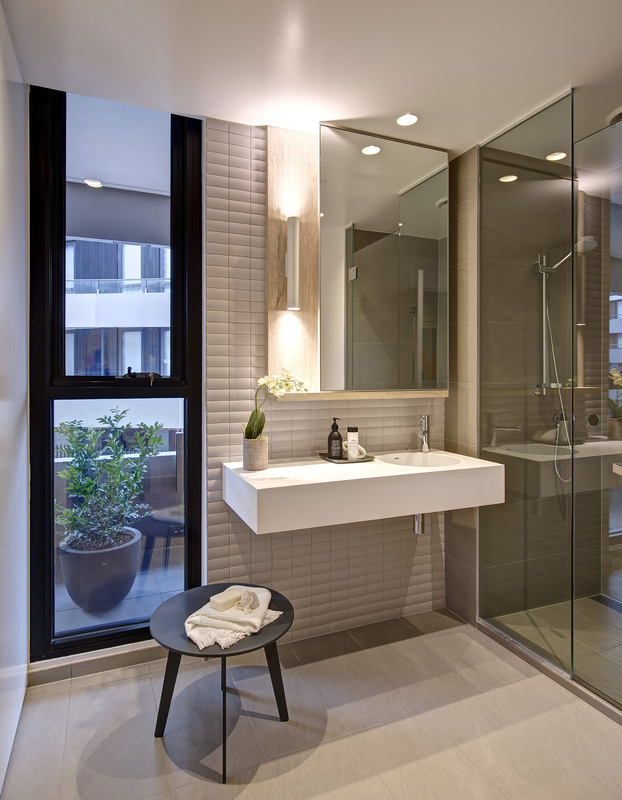 The implementation of a solar hot water system aids in providing hot water in all apartments, while water collected on rooftops is stored and used for irrigating the extensive landscaped areas and for flushing toilets in commercial tenancies. 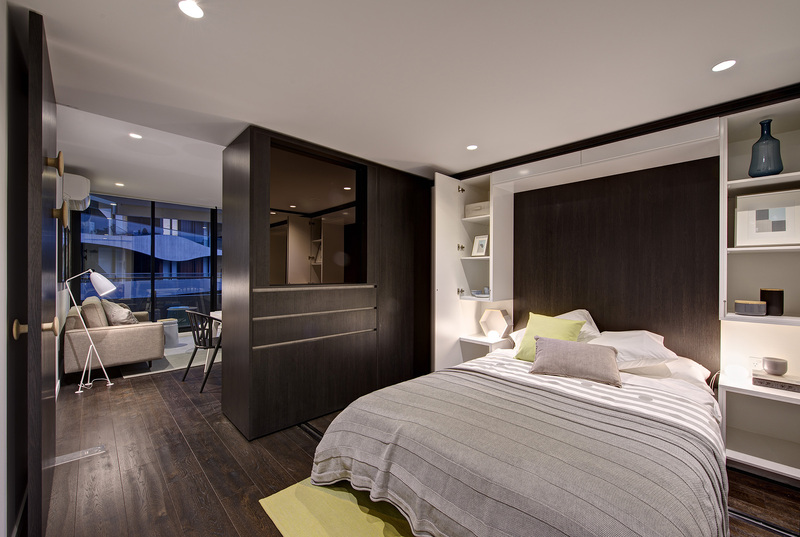 Rothelowman designed a variety of apartment layouts and sizes, catering for all occupant profiles. 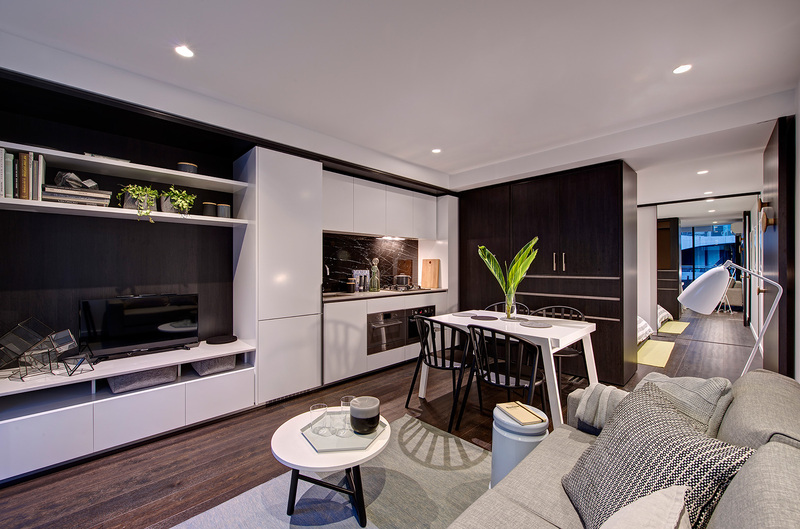 The range of purchaser options include timber flooring, integrated fridges, feature pendant lights, surround sound and furniture packages. 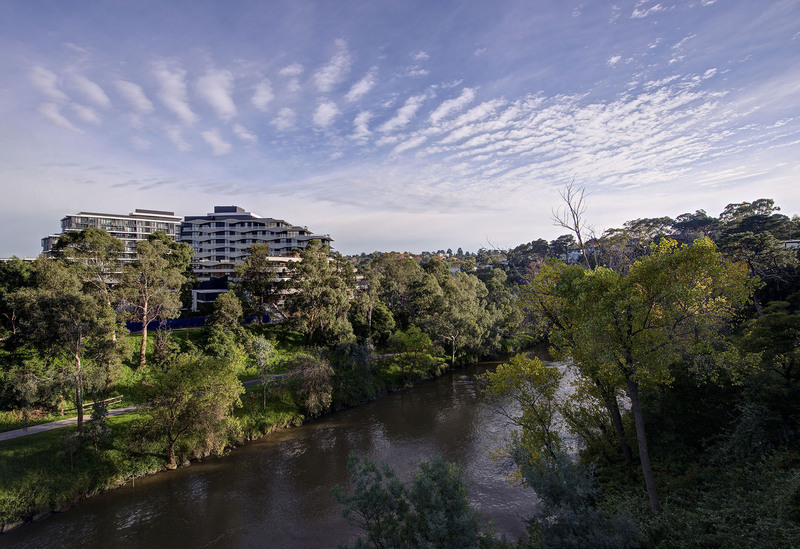 Apartments offer absolute river frontage and city or tree canopy views with open plan living and dining. 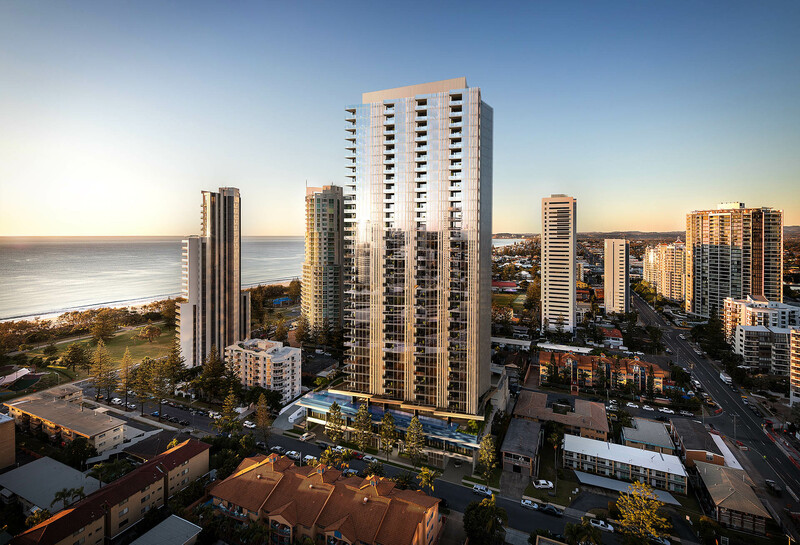 Floor to ceiling windows and doors provide natural light and open out onto generous sized balconies. 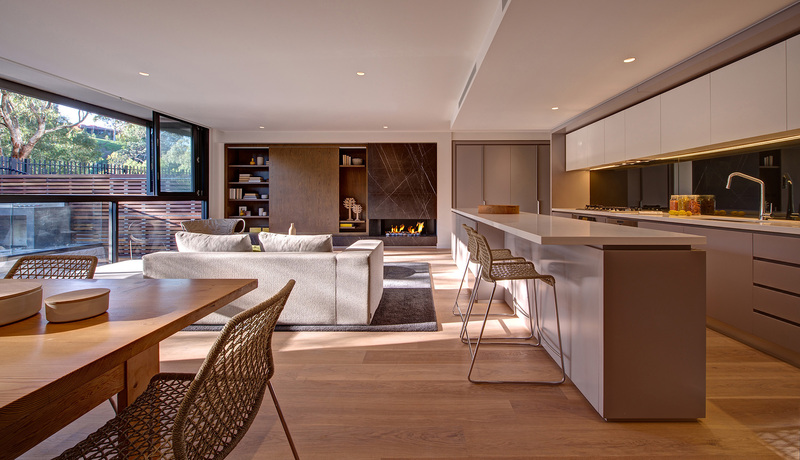 Kitchens feature high quality fixtures and designer finishes, luxury Miele appliances, stone kitchen bench tops and superbly engineered timber veneer joinery. 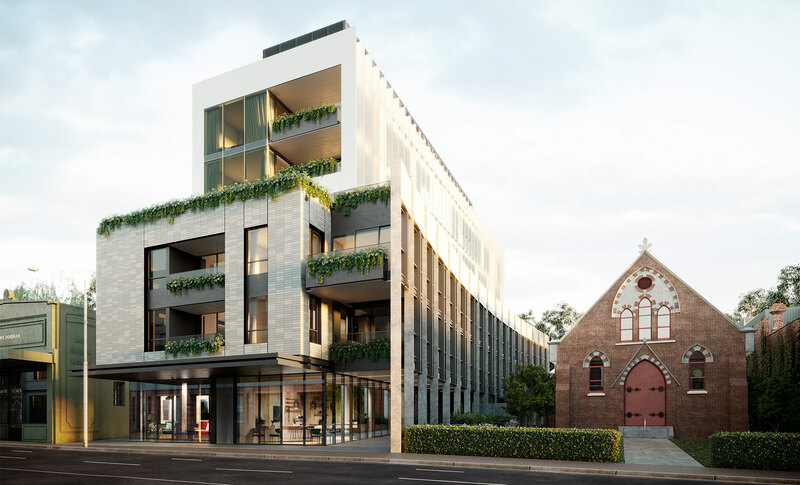 The second stage of the landmark Abbotsford project, Haven includes north facing apartments with one to four-bedrooms, terraces with river frontage and views overlooking surrounding treetops and the Yarra River. 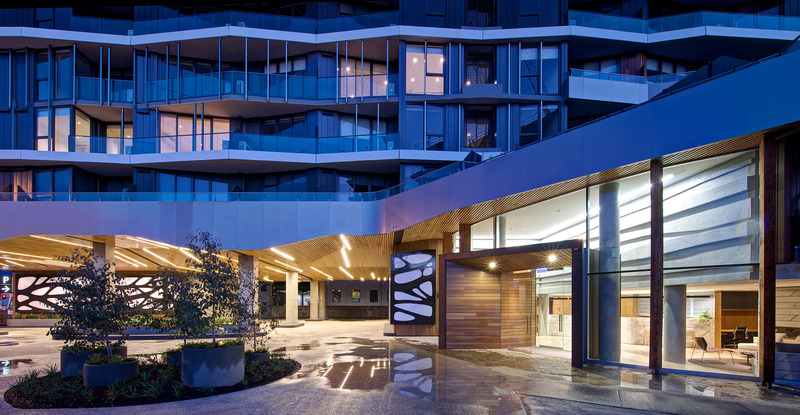 The design took its inspiration from the natural landscape and encompasses elegant curves that complement the natural contours of the river corridor in an organic and fluid design composition. 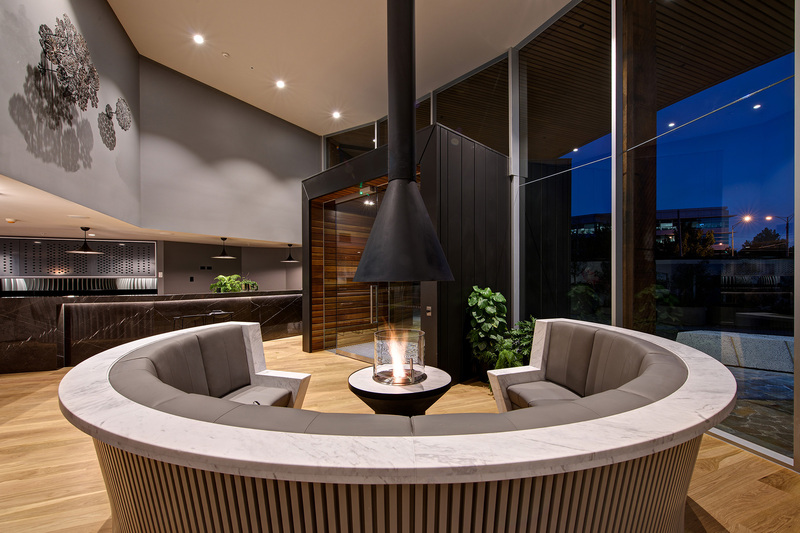 Interiors take their inspiration from the external architecture and include a dynamic, hotel-style lobby bar while landscaped podium level gardens and an outdoor rooftop oasis complete the offering. 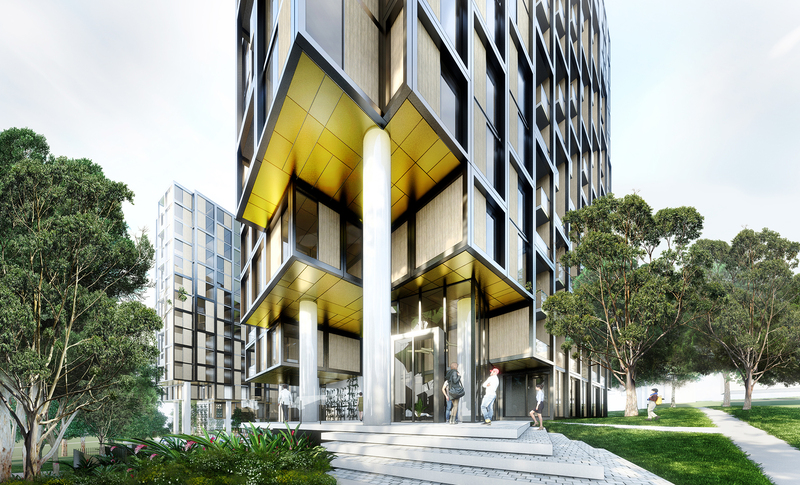 The third and final stage of the iconic Abbotsford project, Sanctuary provides luxurious apartments and riverfront terraces to this exclusive new precinct just three kilometers from Melbourne’s CBD. 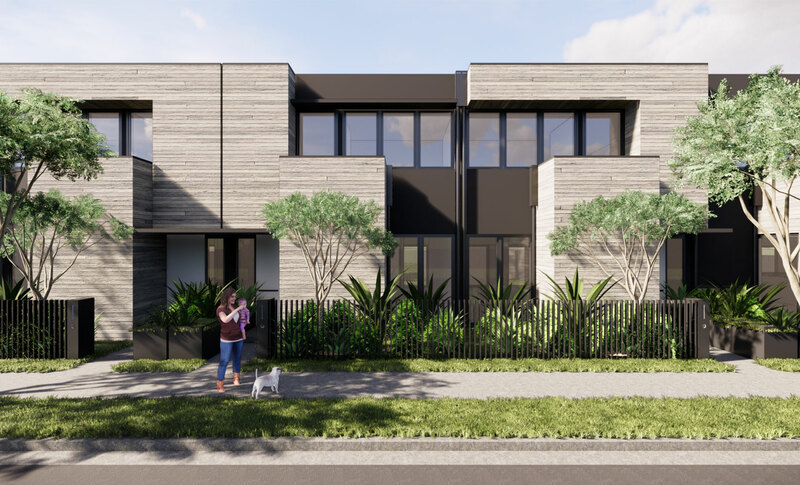 With the striking kinetic exterior, inspired by the contours of the of the Yarra river corridor that runs directly adjacent to the development, Sanctuary provides one, two and three bed accommodation, with large open plan living and a selection of colour pallets. 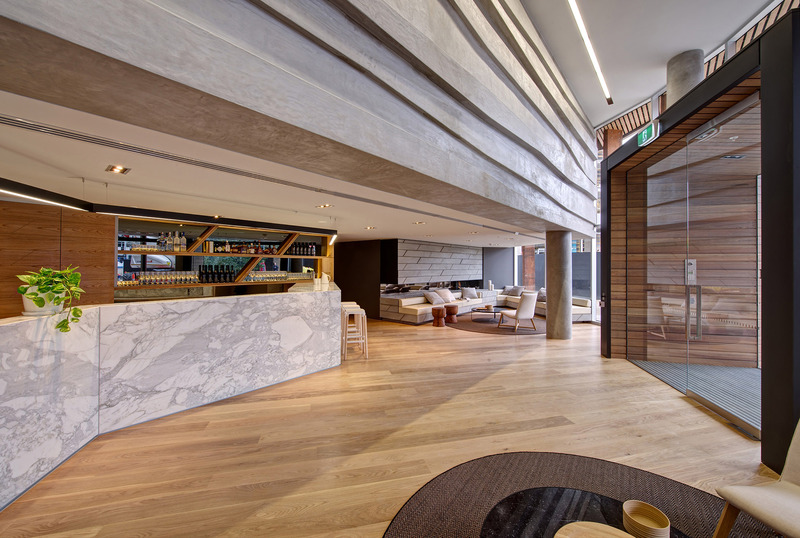 Resident amenity is abundant with a hotel inspired, light filled residents lobby and bar, rooftop dining, lounge and cinema, a health and wellbeing retreat, including lap pool and spa alongside a full gym with sauna, massage and beauty rooms. 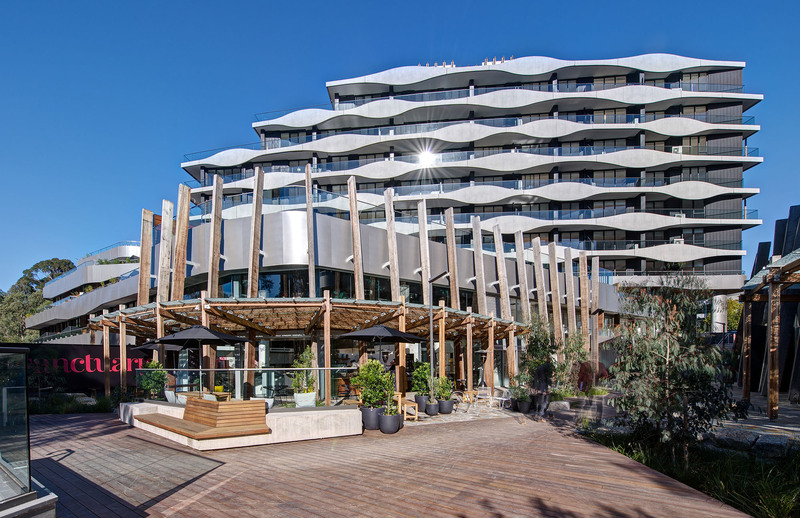 Sanctuary is linked to Acacia place at ground level, the new mixed-use public realm connecting Victoria Street to the Yarra River that provides boutique offices, restaurants and cafes.